An Atrial Septal Defect (ASD) is a hole in the wall between the two upper chambers of the heart. An ASD allows freshly oxygenated blood to flow from the left upper chamber of the heart (left atrium) into the right upper chamber of the heart (right atrium). Oxygenated blood is then allowed to travel to the lungs along with deoxygenated blood. If not treated, the right side of the heart eventually enlarges and weakens. Over time, there will be less oxygen in the blood that goes to the body. In some cases, the blood pressure in your lungs increases as well, leading to pulmonary hypertension. 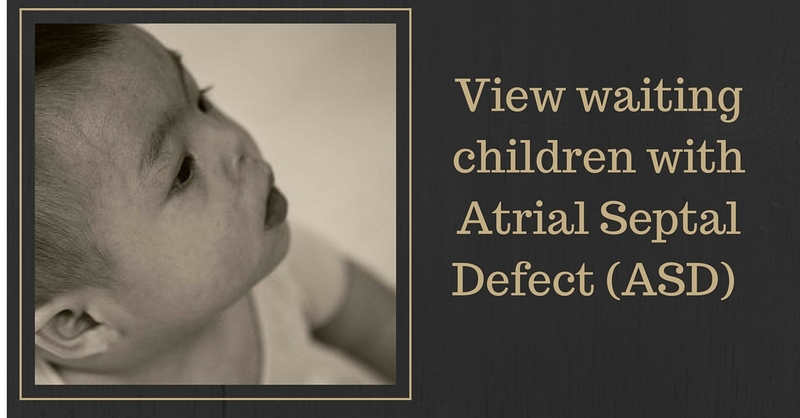 Many babies born with smaller atrial septal defects don't have outward signs or symptoms. ASD's are usually discovered when a child experiences a shortness of breath, fatigue, swelling of the legs, or a bluish skin color. An examination by a doctor may also help detect a heart murmur or skipped beats. Congenital heart defects are generally caused by an error in heart development in utero. The exact cause is unknown, although could be attributed to genetic or environmental factors. Rubella or drug and alcohol use during pregnancy increase the risks that a baby will be born with CHD. Small ASDs typically present no additional concerns. If left untreated, larger ASDs can cause right-sided heart failure, rhythm abnormalities, a shortened life expectancy and an increased risk of stroke. Less common, but possible complications also include pulmonary hypertension (increased blood pressure in the lungs) or Eisenmenger Syndrome (permanent lung damage from pulmonary hypertension). Cardiac catheterization. A thin tube (catheter) is inserted into a blood vessel in the groin and guided to the heart. Through the catheter, a mesh patch or plug is put into place to close the hole. The heart tissue grows around the mesh, permanently sealing the hole. Open-heart surgery. This type of surgery is done under general anesthesia and requires the use of a heart-lung machine. Through an incision in the chest, surgeons use patches or stitches to close the hole. In infants small ASDs (less than 5 mm) will often close on their own or cause no problems. Larger ASDs (8 to 10 mm) most often do not close and may need a procedure. There are several factors that would determine the prognosis following surgery including the size of the defect, the amount of extra blood flowing through the opening, and how long the child has gone without surgery. Some children with an ASD may have other congenital heart conditions, such as a leaky valve or a hole in another area of the heart.